The Girls in the Auschwitz Band – First they learned their life was music – and then they knew that music was their life. The girls’ band at Auschwitz-Birkenau was the most eclectic, the most unique, the most controversial, and without any question, the most zealously documented gathering of female musical talent the world has ever known. The band’s members ranged in age from fourteen to fifty-eight, with four well into their fifties and a dozen still in their teens. Two of the group had achieved European celebrity as leaders of their own ensembles. Seven or eight more were professionals. Several were conservatory students, already showing promise. But many had merely learned to hold an instrument in school. 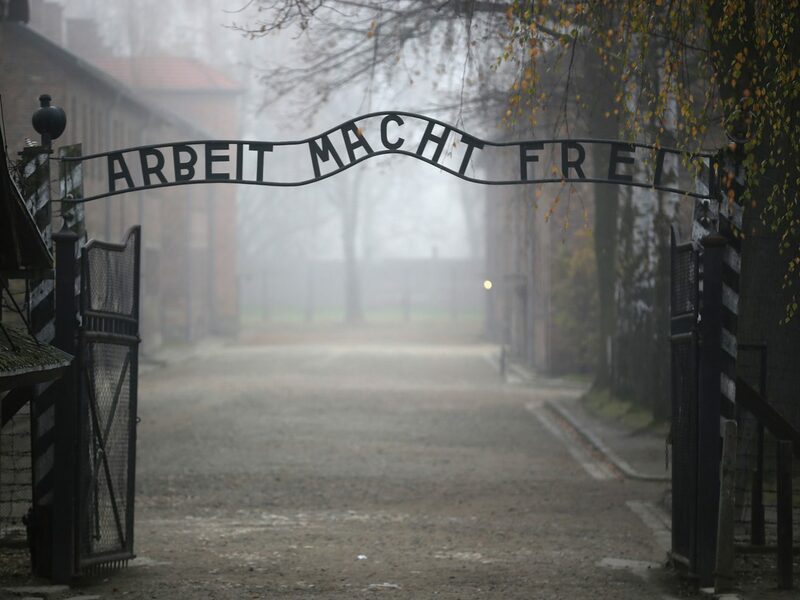 Thrown together by the most barbaric catastrophe in human history, they were dragged off to Auschwitz from thirty different cities in twelve different countries – and then promptly robbed of their families, their freedom, and their dignity. At least half of the members were fluent in two languages, and more than a few knew three or four, including Czech, Dutch, English, French, German, Greek, Hebrew, Hungarian, Ladino, Polish, Russian, Ukrainian, and Yiddish. Politically, the ensemble ranged from militant communists and socialists to moderate liberals and conservatives. Religiously, it included fully assimilated Jews, fully observant Jews, militant Zionists, devout Roman Catholics, lapsed Roman Catholics, traditional Russian Orthodox, and no shortage of ardent secular atheists. Such broad cultural persuasions at times gave rise to divisions. But despite every barrier, these women turned to one another for refuge from peril and hunger, and with remarkable consistency they replied with comfort and nurture – not rarely at the risk of their own lives. Countless remarkable events in the life of this band have now been documented in testimonies that cover more than seven decades. These include a wide range of memoirs, interviews, films and concerts, now rendered in more than twenty languages. All are important. Many are heart-breaking and heroic. Every one of these women survived one of the world’s greatest crimes. That survival insisted that they witness what the world would be wise to remember. This web-page lives in the hope that still more of those accounts may be added to this record.